A fabulous Delage with silver screen history is sure to wow onlookers in the Pre-War Luxury Tourers Class during the Chubb Insurance Concours d’Elégance which forms part of Salon Privé. 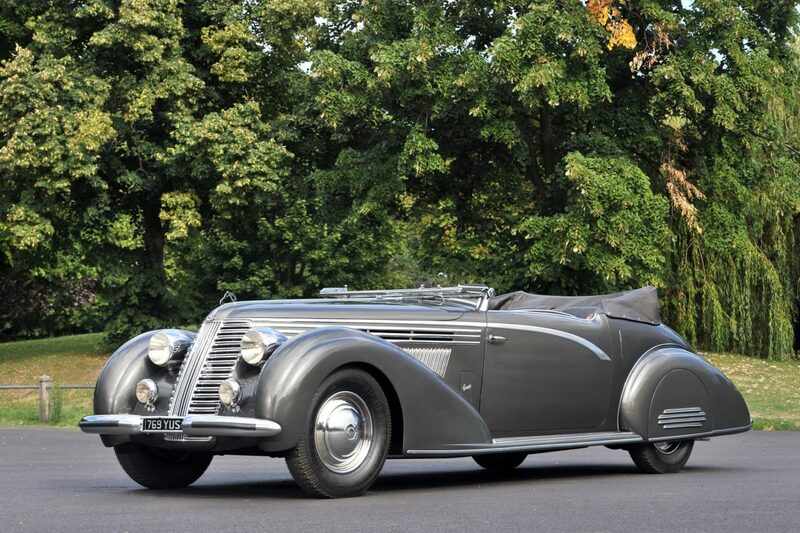 The 1939 D8-120 Cabriolet, with a ‘Bustle Back’ outline by legendary French coachbuilder Henri Chapron, has a fascinating backstory, and will make a rare UK appearance before an appreciative audience at Blenheim Palace on Thursday, 30 August. Delivered new to Chapron as a rolling chassis, it was equipped with an exceptionally elegant four-seater body, complete with a three-position top. The car was reputedly commandeered by a collaborating French general of the Vichy government during World War 2. In 1946, a year after the end of hostilities, he dispatched the car to California on the assumption that he would be reunited with it shortly thereafter. However, he was unable to obtain a visa to enter the USA, so he fled to Argentina instead. The general subsequently sold the Delage to RKO Pictures, one of the ‘Big Five’ studios during Hollywood’s Golden Age. The car’s beautiful styling earned it a role in the 1951 MGM production, “An American in Paris”. It received a cosmetic makeover for its appearance on the big screen, which stretched to modifications to the taillights and a new green paintjob. In the film, star Gene Kelly is seen being chauffeured around the City of Lights alongside actress Nina Foch. 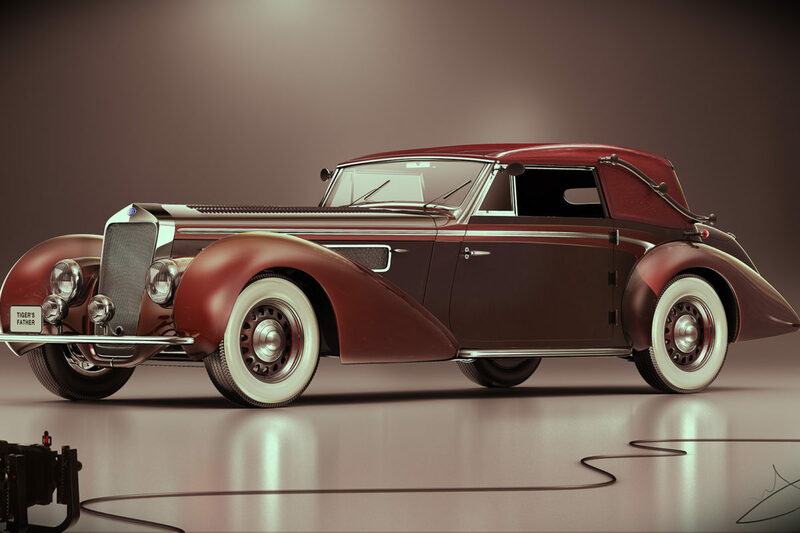 In 1955, ownership of the Delage passed to Thol ‘Si’ Simonson, a special effects expert who was part of the RKO Studios production team. He was ‘given’ the car in lieu of the pension he was owed, and Simonson drove the car around Arizona before it went under the hammer in 1987. It was acquired by its current owner who has since returned the car to its former splendour. The Delage has garnered awards at concours events stretching from Italy to India via the USA, and it is sure to amaze the judging panel at Salon Privé. It will be vying for honours alongside a remarkable coachbuilt Lancia Astura. This streamlined machine is believed to be the lone survivor of only three fourth-series Asturas bodied by Carrozzeria Boneschi during the late 1930s. The model, which features a narrow-angle, three-litre V8 engine sited in a long-wheelbase chassis, acted as a blank canvas for most of the great Italian coachbuilders of the day, and variations on the theme were used extensively by Italian government departments in period. This ultra-stylish example was originally owned by a Belgian coalmining magnate, and it was laid-up during World War 2. After this death, his widow kept the car in storage. Save for a repaint in its original dark grey hue, this elegant Lancia is completely original, including its plush black leather upholstery and grey, convertible roof. This arrangement is electrically-operated, too, which was highly unusual and innovative for its era. A true ‘Gran Turismo’ from a time before the term was even coined, this rarest of classic Lancias serves as a reminder of a period when Italian coachbuilders were emerging as world leaders in transforming metal into rolling sculpture. These are just two examples of pre-war coachbuilt icons set to appear in the Chubb Insurance Concours d’Elégance; one of countless attractions for car lovers of all creeds during the Salon Privé extravaganza at Blenheim Palace. Salon Privé will spring into action from 30th August to 1st September. Firmly established as the UK’s most exclusive automotive Garden Party and one of the longest-running and most successful motoring events in the UK, this year marks a particularly special milestone as the event relocates to the foot of the Palace becoming the first event ever to be located on the famous Blenheim Palace Cricket Pitch.